Having a safe space saves lives. We take this a step further by supporting young LGBTIQ+ people feel accepted and loved because they are LGBTIQ. We help our teens and young adults build the confidence to see themselves as we see them. Take a stand for LGBTQ young people with us by signing up to be a table captain for this year's Ally Up Qmmunity Breakfast by contacting Margo Chandler at dchandler4236 at comcast (dot) net and/or becoming a sponsor. We are quite fortunate to be part of a giving, generous community of individuals, businesses, and foundations here in Colorado Springs! Your thoughtful donation makes a big difference for the youth attending Inside/Out. Our outreach and safe space advances a healthier community for all young people: suicide prevention, safer classrooms, less absenteeism, better health, higher graduation rates, more livable lives! There is no such thing as insufficient support or insignificant help: ALL that you do matters to the youth, volunteers, and staff of Inside/Out. Please make a contribution commensurate with your commitment and capacity to empower LGBTIQ youth! What will my donation go toward? Every dollar you spend with us is put directly toward aiding and assisting the LGBTIQ youth of Colorado Springs and your help is sorely needed! One of our primary missions here at Inside/Out is providing much needed assistance to young people experiencing homelessness, who oftentimes have been rejected by their families and are forced to live on the street. With the help of contributions from people such as yourself, we are able to purchase clothing, toiletries, food, and help fund activities to provide life experiences these kids wouldn't otherwise be able to. In many cases, we are the only organization these youth can turn to for even the most basic needs. Even the smallest contribution can make a big difference. With your money, no matter the denomination, we are able to take care of these kids at their greatest time of need and aid them in becoming fully functional, productive adults. Our goal is to ensure that each of the lives we touch goes on to live a healthy and long existence as their authentic happy selves. Inside/Out Youth Services is a registered 501 (c)(3) nonprofit organization and any donation made to our organization is tax deductible. We are always happy to provide you with receipts for financial contributions and proof of in-kind donation such as snacks, supplies, and materials for our space. If you would like information about corporate sponsorship opportunities please email us and we will be happy to provide you with any relevant information. Your sponsorship could qualify as a charitable contribution. LGBTIQ+ youth discover their potential to thrive. The mission of Inside/Out is to empower, educate and advocate for lesbian, bisexual, transgender, gay, intersex and questioning (LGBTIQ) youth from Southern Colorado, primarily El Paso and Teller counties. Inside/Out does this by creating safe space, support systems and teaching life skills to all youth in our community and work to make our community safer and more accepting of gender and sexual orientation diversity. Inside/Out Youth Services (est. 1990) is the only non-profit organization in El Paso County that serves lesbian, gay, bisexual, transgender, intersex and questioning youth. We provide a safe accepting space for young adults between 13-22 years of age. All of our groups and services are provided free of charge with the hope that any aid we provide will further the happiness and health of LGBTIQ kids in the Colorado Springs area. We do our best to provide an environment conducive to allowing LGBTIQ youth to freely express themselves and help build their self-reliance. Our programs include support and discussion groups, supervised drop-in recreation center, community outings, leadership development opportunities, sexual health education, suicide prevention education, career and financial skills building, counseling referrals, food pantry, and clothing closet. Your safety is of utmost importance to us! All staff members and volunteer facilitators have undergone both a thorough national background check and a day-long training session at Inside/Out. When open for youth hours, there will always be at least two facilitators on site to ensure that conduct and behaviors of our youth remain appropriate and safe for all present. Staff and volunteers are committed to your safety and your freedom to have fun at Inside/Out, and are always available if you need to talk about any-thing. Click here for details on programming at Inside Out Youth Services. Upon arrival you will be greeted and asked to sign in at our front door, so we know who’s in the space for the day. If you decide to stay, a staff member or volunteer will sit down with you and quickly fill out a brief interview orientation form to gather basic details such as name, age, emergency contacts, and some demographic information. Your information is kept confidential. Afterwards, we will introduce you to some of our other young folks and help you in anyway we can. Come check us out anytime during our program hours, Monday 3:00-7:15, Tuesday 3:00-6:00, Wednesday 3:00-7:15, or Friday 3:00-7:30. If you’re new to Inside/Out, don't worry! Our Youth Leadership Team and Peer Program Assistants have been tasked with ensuring that ALL new young people are made to feel welcome and comfortable in the space. These young leaders give tours of the space, can help introduce you to others, and can always provide you with the guidelines of conduct at Inside/Out. Volunteers who educate, empower, support, and advocate for youth carry out the daily Inside/Out Youth Services mission. Whether you are looking for a short-term commitment or a long-term partnership, we have a volunteer opportunity for you. 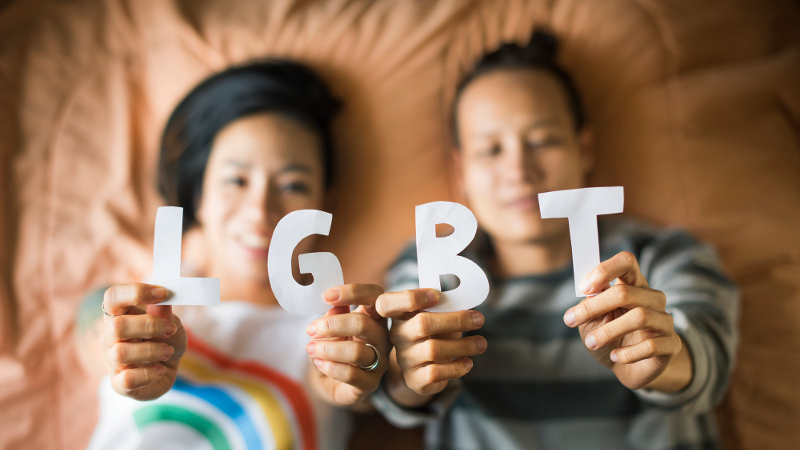 Your talents and interests help us meet the challenge of creating change for LGBTIQ youth, so we want to make sure you have a great experience. Interested in volunteering with our young folks? Fill out and send your application to [email protected] today to schedule an interview and learn about upcoming volunteer trainings. Having a safe space saves lives. We take this a step further by supporting LGBTQ youth feel accepted and loved because they are LGBTQ. We help our youth build the confidence to see themselves as we see them. Take a stand for LGBTQ youth with us by reserving your seat today; signing up to be a table captain for this year's Ally Up Qmmunity Breakfast by contacting Margo Chandler at dchandler4236 at comcast (dot) net and/or becoming a sponsor. Every dollar you spend with us is put directly toward aiding and assisting the LGBTIQ youth of Colorado Springs and your help is sorely needed! One of our primary missions here at Inside/Out is providing much needed assistance to young people experiencing homelessness who have oftentimes been rejected by their families and are forced to live on the street. With the help of contributions from people such as yourself, we are able to purchase clothing, toiletries, food, and help fund activities to provide life experiences these kids wouldn't otherwise be able to. Upon arrival you will be greeted and asked to sign in at our front door, so we know who’s in the space for the day. If you decide to stay, a staff member or volunteer will sit down with you and quickly fill out a brief interview orientation form to gather basic details such as name, age, emergency contacts, and some demographic information. Your information is kept confidential. Afterwards, we will introduce you to some of our other young people and help you in anyway we can. Come check us out anytime during our program hours, Monday 3:30-7, Tuesday 3-6, Wednesday 3:30-7, or Friday 3:30-7:30. If you’re new to Inside/Out don't worry! Our Youth Leadership Team and Peer Program Assistants have been tasked with ensuring that ALL new young people are made to feel welcome and comfortable in the space. These young leaders give tours of the space, can help introduce you to others, and can always provide you with the guidelines of conduct at Inside/Out.